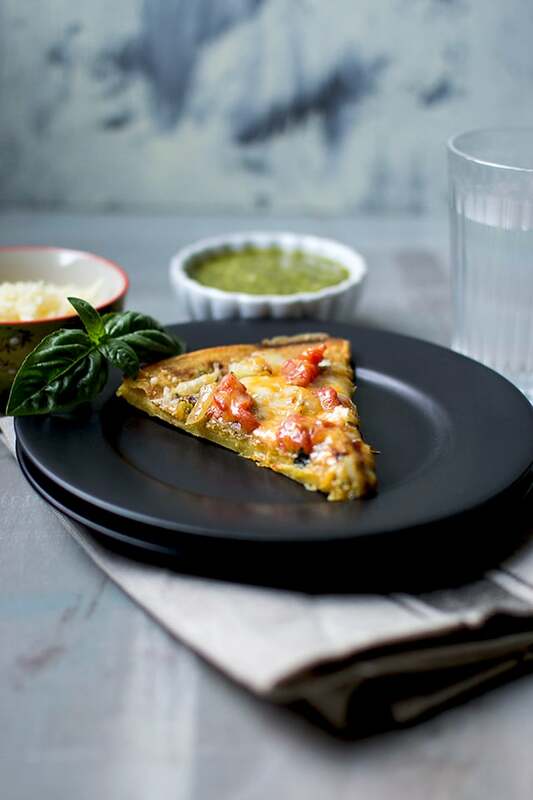 No-rise Spelt Pizza with Thai Tofu Topping — base is a very simple recipe that needs no rising time. Topping is a delicious spicy peanut sauce with scrambled tofu and cheese. 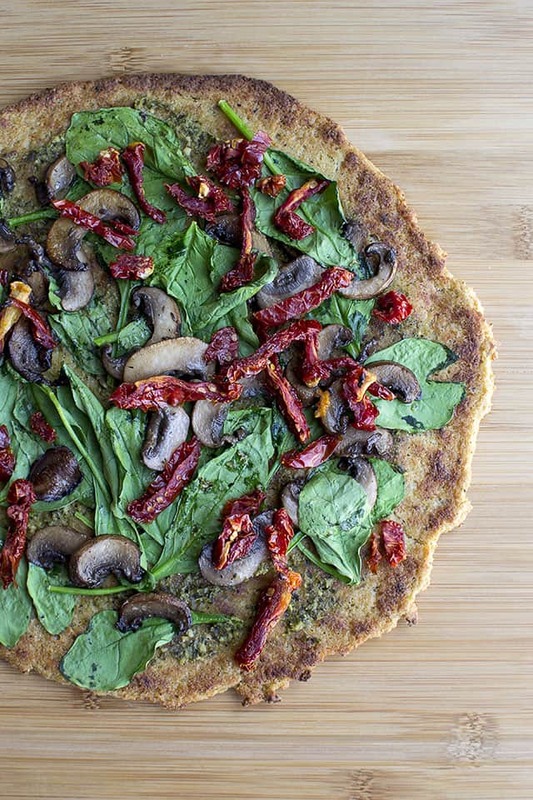 Socca pizza made with chickpea flour. 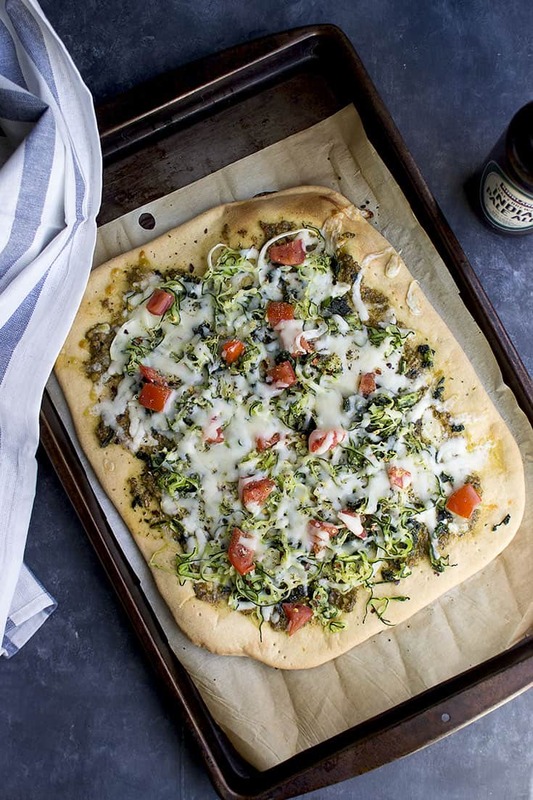 This no-yeast pizza needs just a few ingredients and is protein rich. 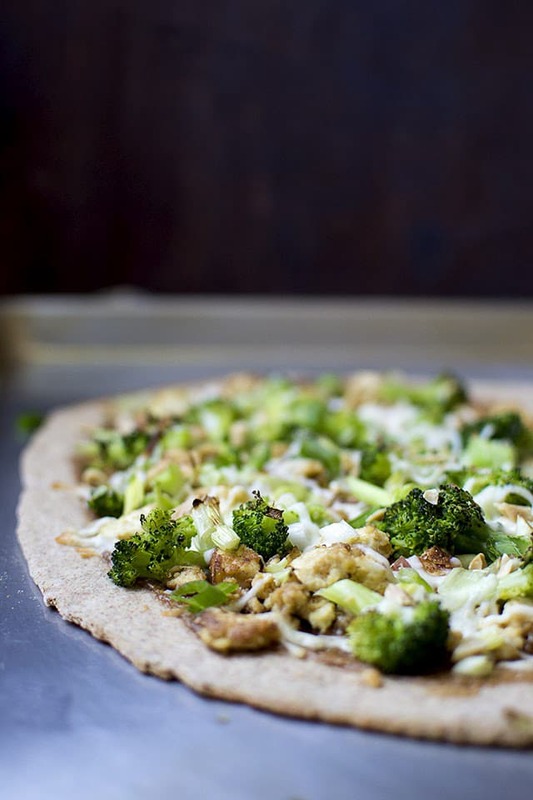 Toppings can be customized to ones likes and dislikes. 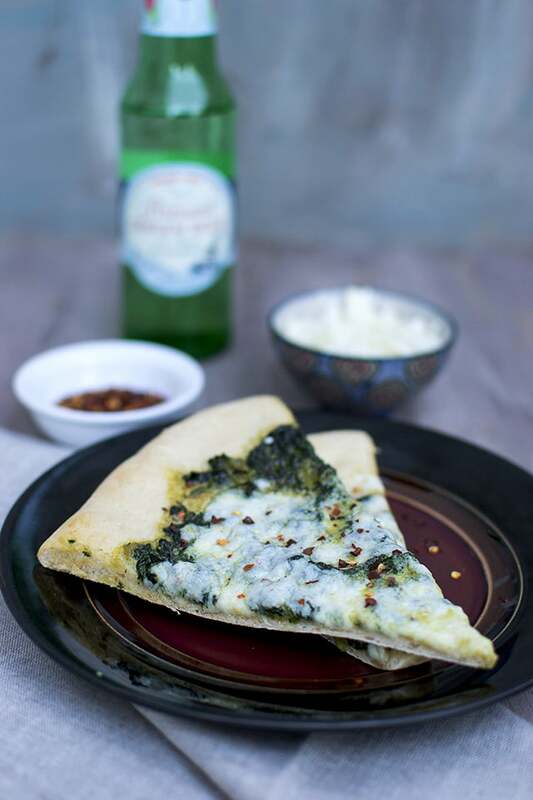 Indian style pizza with creamy curried spinach on an instant pizza crust — take about 15~20 minutes to put everything together. If you don’t want to be bothered with making the crust, just use store bought naans instead — they would work beautifully here.